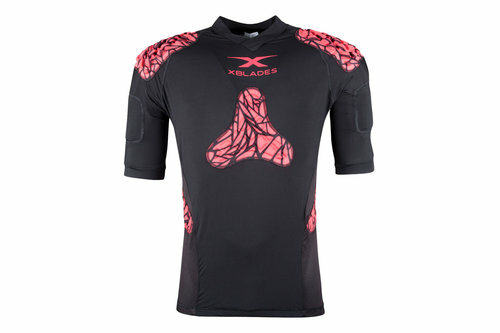 Offering brilliant protection and comfort from the collisions and impacts of rugby, the X Blades Elite Kids Shoulder Pads Body Armour does a good job of protecting your from injury. This body armour set features multi areas of padding including shoulder, chest, neck, arm and kidneys in the form of Micro Cellular Foam which is very lightweight, so you'll barely even notice it's on whilst remaining incredibly protective. 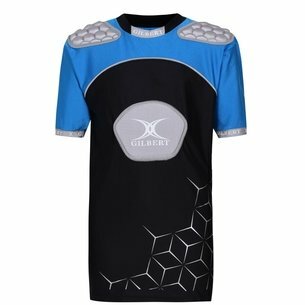 The lycra stetch vest itself enjoys airflow mesh panels which help to draw cool air in and out through various zones which keep the body cool and comfortable even in the heat of the action.